When I decided to read this for the Back to the Classics Challenge, I had no idea how long it would take me to read (a month). 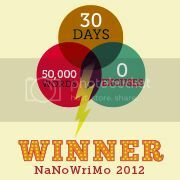 Note to self: next year, choose shorter books for this challenge! I had read some Dostoyevsky in college, most memorably “Notes from Underground,” and did enjoy it at that time. In undertaking Crime and Punishment, I was once again impressed with the writing of Dostoyevsky from a purely psychological standpoint. The character of Raskolinov is so deeply explored that he is whole and I would know him if I ran into him on the street. From there, I start to get mixed up with the Russian names. Especially because sometimes they are called different things. For instance, Raskolinov is also called Rodion (his first name), or Rodya. His sister’s full name is Avdotya Romanovna but sometimes she is called Dunya. And then, there’s the philosophy entrenched in this novel. As Raskolinov himself states in the novel, there are ordinary people and extraordinary people. The extraordinary people are few and far between. They are the inventors, the ones who bring new thoughts and ideas into society. And maybe, these extraordinary people, because of who they are, are allowed to literally get away with murder. (I was with him on this philosophy right up until the murder part!) Raskolinov fancies himself to be one of these extraordinary people. And so he commits an act of murder and theft, feeling that he may get away with it, and that he is right in doing so because he can use the stolen items to help better his position in society. Of course, that isn’t what happens, and he teeters on the edge of confessing his murder as he begins to act more and more suspicious to those around him. Not at all a light read, Crime and Punishment is the kind of novel you have to devote large blocks of time to, in order to digest and absorb what is on the pages. With limited time, I could only read a few pages at a time, and then I would have to go back to re-read passages. It’s an excellent psychological novel, exploring the motivations of people to act why they do. Although it was written in the 1860’s, and is translated into English from Russian, it remains relatable today. Nothing to read in October? 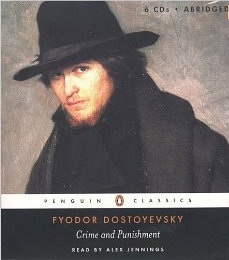 Devote your month to Crime and Punishment. Again, another review that makes me want to go out and read the book. I love reading your reviews. The closest I have ever read to what you describe is Ayn Rand – and she seems like a light-weight in comparison. Just in case nobody ever tells you, Kathy, thank you for taking the time to read and review books from different time periods.